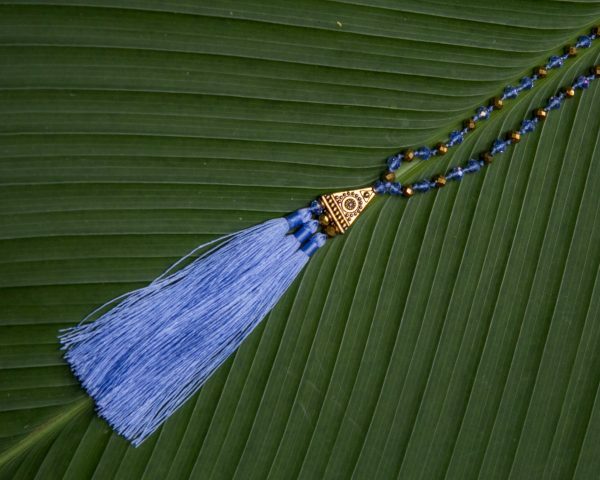 This is one of a kind, only 1 available! 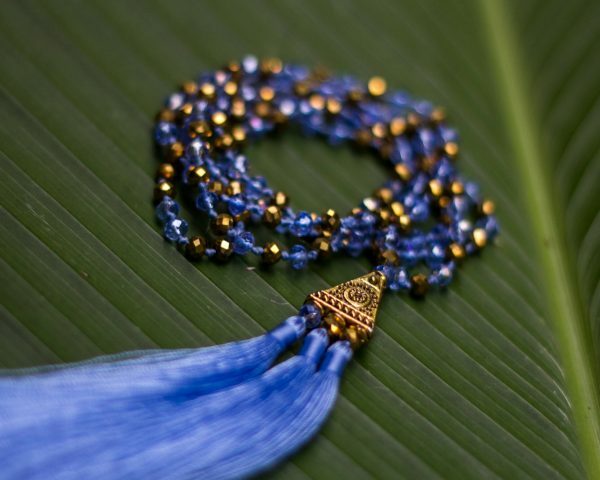 Made with hands, inspired by heart from the land of Bali. Lenght: 46 cm up to the end of triangle finishing bead, 54,5 cm to end tassel. 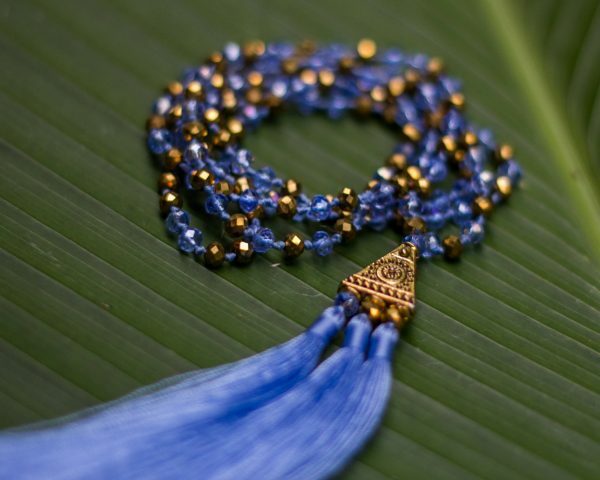 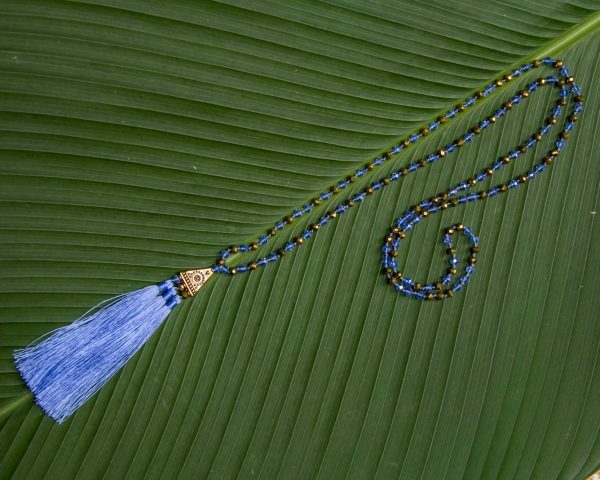 A wonderful blue beaded boho chic long necklace with elegant triangle guru bead charm connecting 3 long and soft tassels. 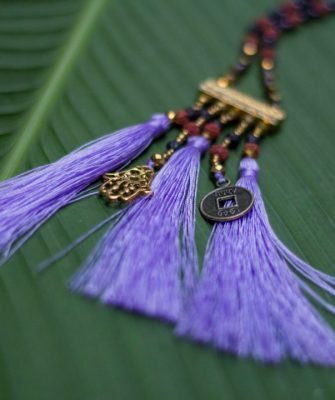 Simple, elegant, bohemian chic look guaranteed! 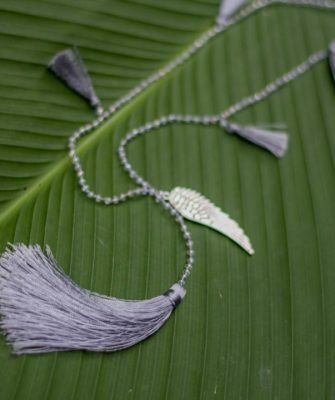 Wear it for an added sparkle to your outfit. 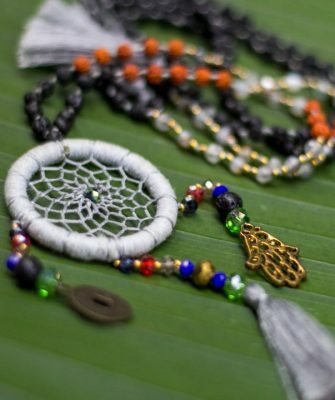 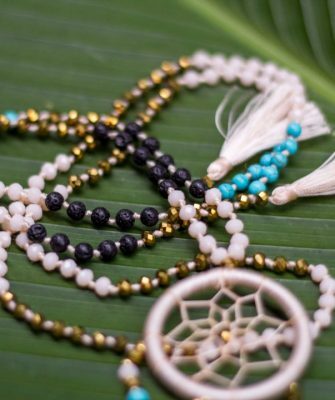 You can layer it with more long beaded necklaces or alone for a fabulous hippie allure and gipsy style.